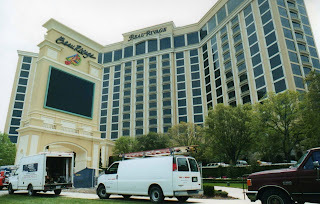 Standing 348 feet and 32 stories tall in Biloxi Mississippi, Beau Rivage Casino Hotel is operated by MGM Resorts International. Its name is French for beautiful shore. The postmodern skyscraper, constructed in 1999, stands on shore while the adjacent 28 story casino was built to float on five barges in the Mississippi Sound. It is the largest sea-anchored, semi-submersible barge structure of its kind in the world. 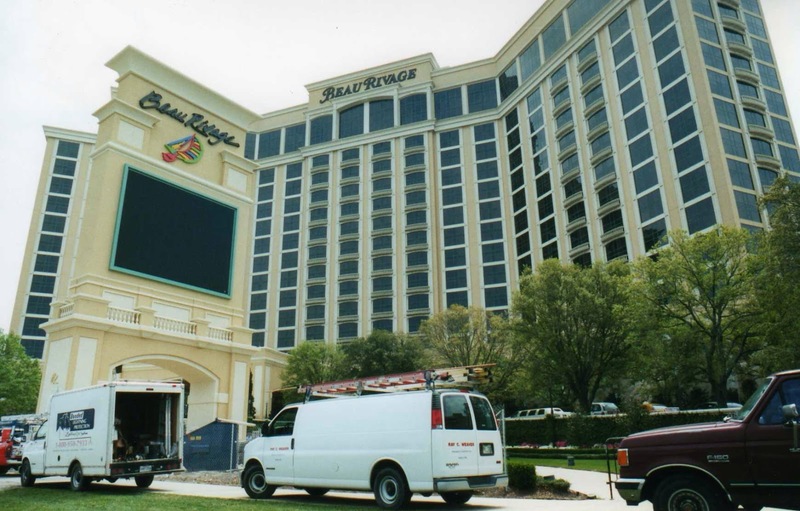 Beau Rivage is located at 875 Beach Boulevard, Biloxi. Hurricane Katrina washed out the three lower floors of the hotel, and caused extensive damage to the casino. Both were closed for one year, rebuilt, and reopened on the anniversary of the devastation. Beau Rivage is now home to Fallen Oak, a championship golf course designed by Tom Fazio. It is the top casino resort visited in Mississippi.